There are various carrier tips that are very much useful for students in identifying a right career. Some students look to move into Business Administration, Some in to IT and Telecom Industry and some like to move to MBBS and Dental category. So it is very important for students to select the right career which match their skills. Especially for Students who are just starting to launch their career in Tenth and upper grades, it is the most turning point in their life. Students generally don’t have knowledge of various degree courses and career choices available. There are some good sites that help you have knowledge about the right career. 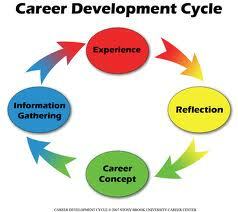 These sites provide career choice test which helps you to identify the right career that matches your interest. There are some really cool websites that help in selecting the right career. One such website which helps in selecting the right career for students is Career Choice which gives cool advices for students to identify a right career. We suggest to take a career choice test for getting information regarding suitable category.